When you use any recent version of Adobe Acrobat or Adobe Reader, and you gave in to the continued ‘nagging’ to turn on “Mobile Link”, then all the files you open in Acrobat or Reader will get uploaded to Adobe’s Document Cloud. This can be a good thing, because it does not matter anymore if you are looking at a document on your desktop computer, the laptop, your tablet or your phone, it will always be there for the other devices to pick up where you left off. You can for example start to read a document on your laptop, and then finish reading it on your tablet – without having to manually sync the file. Sometimes you may be working on a document that is too personal to be shared with the Document Cloud. In that case, you can turn off “Mobile Link” before you open that document, but what if you forgot about that, and the document got uploaded? How does one remove such a document from Adobe’s Cloud storage. When you select “Recent” – which you can also do by using the shortcut http://cloud.acrobat.com/recent – you will see all files that you’ve recently used in any copy of Acrobat or Reader that had “Mobile Link” enabled. You can delete files from that list by selecting the checkbox to the left of a filename, and then selecting “Delete” from the tools selection just above the list of files (as indicated in the screen shot). This way, you have full control over where documents are stored, and don’t end up uploading files that are “too personal” to the Cloud. This entry was posted in Acrobat, Tutorial and tagged Acrobat DC, Cloud Storage, Document Cloud, Mobile Link, PDF, Recent. Bookmark the permalink. is it possible to disable in the new Adobe Reader DC the new sidebar with Document Cloud, export, create, comment and all that stuff at all? Every time I open any pdf-file, this new side bar opens on the right. As I absolutely never use this stuff, every time I have to close it by mouse-click, which is annoying, I already thought to downgrade to get this away. Is there maybe a registry key to put to fix this? Found it lastly on SuperUser Forum. It is easy in the settings > Document > Open Toolbar for each document (uncheck). 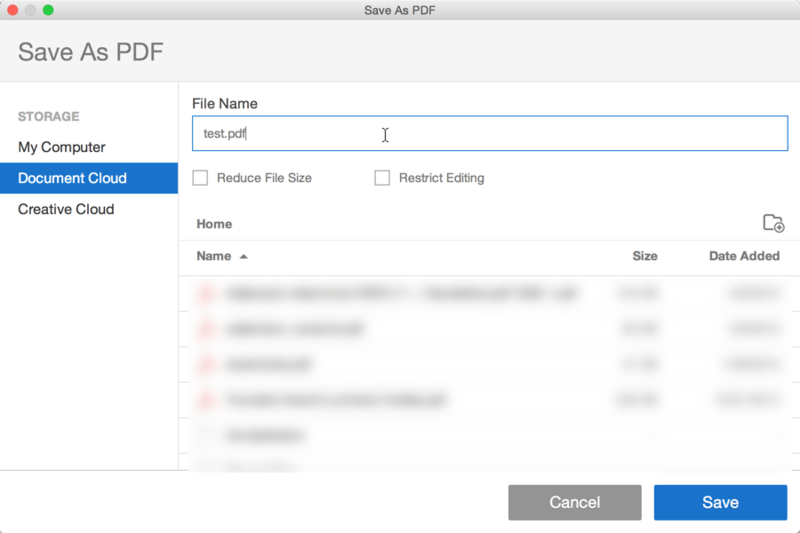 Frank, This is new in the update to Acrobat/Reader DC that Adobe just released a few weeks ago. Very useful, article – thank you!